Mercy Secondary School Mounthawk is a community of students, parents and staff who work together to support each other in the endeavour of formation and learning. It is through this partnership between staff and students and parents that the young people in our school are challenged, supported and cared for as they realise the God-given potential within them to grow. That report provided the basis for the intervening school plans. The most important of the recent developments in the school was the opening of our new extension in 2016 on the anniversary of the rising. It was an occasion that led us to consider the inspiration of the leaders of that rising, none the least of which was Pearse himself. His writing in ‘The Murder Machine’ gave an early statement of the essence of holistic education: ‘Education has not to do with the manufacture of things, but with fostering the growth of things. And the conditions we should strive to bring about in our education system are …. the conditions available to the growth of living organisms – the liberty and the light and the gladness of a ploughed field under the spring sunshine’. A wonderful art project through the artist in residence programme allowed students to participate in the creation of a commemorative ceramic frieze for the new Centenary Hall which captures some of the inspiration of 1916. I hope you get a sense from this website of the ‘light and the gladness’ that exudes from the students among us here in Mounthawk and of the diversity and range of activity in the school. I hope it supplies prospective parents and pupils with a sense of the great educational opportunities that are available to students in Mounthawk. For those of you already in the school community, we intend the website to be a regular source of up to date information and to provide a forum for the students’ and parents’ council and a way by which the management can update you in activities and upcoming events. Please check back. We are in the midst of very significant change in second level education in our schools in Ireland influenced from many different quarters. We have the implementation of the New Junior Cycle with new curricula, new assessment structures, new short courses and Wellbeing from the NCCA, the new review of Middle Leadership in our schools from the DES, the introduction of the new attendance strategies from TUSLA, a new model of provision for Special Needs from the SENO and NEPS, the change of emphasis in teaching methodology to active learning and new quality standards for performance in LAOS from the Inspectorate – and the list continues. It can all become very busy and challenging and we risk losing sight of ‘the centre’ as Yeats characterised it. Yet, what is reassuring in all this change is to hold the focus and what is reassuring for me as principal in Mercy Mounthawk is to see, in the analysis of needs carried out by staff as part of the Middle Leadership review in the past term, that they are clearly holding the focus on the ‘centre’– that centre being the primacy of the care and support and encouragement we give to our students. (You can read more about this review at: http://www.mercymounthawk.ie/new-curriculum-developments/ ). 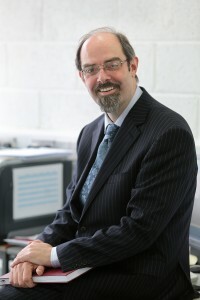 As a core outcome from the review and restructuring, it has been decided to re-structure year teams (with a Year Head, Assistant Year Head, an SEN co-ordinator, a Pastoral Care person and Deputy Principal) to support student engagement, attendance, academic progress and belonging in each year group. In this way, while we are implementing the changes required in Middle Leadership and incorporating the various aspects of the school development plan, (academic achievement, attendance, wellbeing and special needs), we will continue to hold the ‘centre’ around student care. All of this connects well, in my view, with the theme in this ‘Year of the Family’ when Catholic schools are called to be a ‘Family of Families’: places where students feel they belong, where they are protected and supported, where they are encouraged to engage and grow and develop and where we connect with their own families in the formation of well-rounded young people. This is the core vision of the school – the ‘centre’ that will hold. It is encouraging too to see how this central concern of student care manifests itself in a myriad of ways, some big, some small, in the school community. This year we saw the erection of the ‘integration sculpture’ alongside the school avenue bringing to fruition a project started by the class of 2018 when they were in TY and now marking the memory of our recently deceased staff member Martha Brassil who championed integration in the school. She understood the value of welcoming all students whatever their strengths or needs and that spirit will live on in our school. There was great energy too this year around the Young Social Innovator project on technology and family life. It was an innovative project and I understand it will be developed in the coming year to focus on the impact phones are having on the mental wellbeing of students and on family dynamics and communication. Connecting back again the ‘Year of the Family’, there is great interest in the Papal visit in August with 120 students and 12 teachers volunteering to support the events in late August before we return to school. In my view the developments in assessment methods and curricula at Junior Cycle are student focused. The response for classroom based assessment in English, Science and Business has been positive from both students and teachers. I am heartened to see that the new Junior Cycle certificate allows us to acknowledge for the first time (officially) what we have always known in Catholic schools, that extra-curricular involvement is not just an outlet or escape for extra energy, but a necessary aspect of holistic education and student formation. 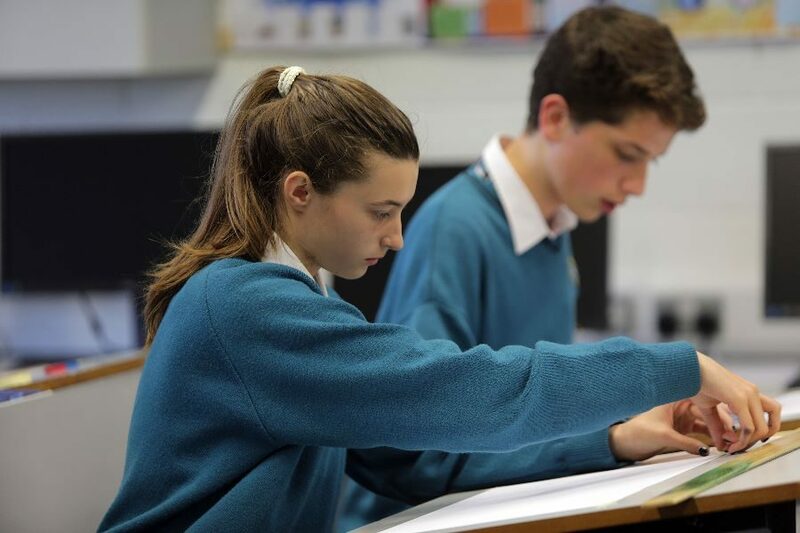 It is great to see that there has been a strong uptake for the new Coding and Artistic Performance short courses in junior cycle – the broadening of educational choice is to be welcomed in the interests of greater student engagement and the encouragement of lifelong learning. In all of this change – there is positivity and energy that is uplifting. I believe that we will not lose our way in Mercy Mounthawk in the midst of change as long as we hold the ‘centre’ and that centre will always be – the welfare and care of each student.